Generally, one doesn’t play Mario games for the story. They tend to be extremely simplistic so that the game developers can focus all of their efforts on gameplay. The exceptions have been the RPG spin-offs, which have told stories that were far more interesting yet didn’t take themselves as seriously as most RPGs. One such game, a Game Boy Advance title called Mario & Luigi: Superstar Saga, has been remade this year for the 3DS. The graphics have been enhanced, new content has been added, and the existing gameplay has received some minor but helpful adjustments. The story begins with the evil witch Cackletta and her faithful, strange-talking assistant Fawful infiltrating Peach’s Castle in disguise and stealing her voice. Princess Peach’s voice is the key to activating the Beanbean Kingdom’s Beanstar, an object of great magical power. After this, Bowser arrives, but he decides not to kidnap the voiceless princess when he discovers that not only has she lost her voice, but her attempts at speech now cause violent explosions. Instead, he sets off together with the Mario Brothers to get Peach’s voice back so that he can then kidnap her as planned. However, the Koopa Cruiser, Bowser’s flying ship, is promptly destroyed by Fawful, scattering its passengers around the border between the Mushroom Kingdom and the Beanbean Kingdom. From here, two distinct gameplay paths begin: the Mario Brothers’ path, which follows the story and gameplay style of the original, and Bowser’s minions, who travel the Beanbean Kingdom in search of their lost leader. Mario and Luigi’s gameplay is still the meat and potatoes of the game. It’s an excellently designed mix of platforming, puzzles, witty dialogue, and turn-based battles with quick-time events on every attack. In terms of stats, Mario is more offensive, and Luigi is more defensive. One thing that takes some getting used to is that everything Mario does is controlled by the A button, while everything Luigi does is controlled by the B button, including their menu selections on their turns. If you press B to try to back out of something as Mario, you’ll just make Luigi jump instead. The “back” button is L. Outside of battles, you can always make the brothers jump simultaneously by pressing X, which is quite helpful. I think my favorite location so far in the game is Woohoo Hooniversity. It’s essentially an abandoned science lab, and some of the enemies that appear are the viruses from the puzzle game Dr. Mario. Whenever you hit one of these viruses, they change color. If you make all of the viruses in one battle the same color, they all die, similar to how you would kill them in Dr. Mario by putting three blocks of the same color on top of or next to a virus. It’s a clever reference. Of course, if you are so inclined (or if you don’t get the reference), you can just kill them the normal way by whittling their HP down to 0. There’s a wide variety of different locations to visit, enemies to fight, and minigames to play, most of which are quite fun and surprisingly challenging. Occasionally, you may find an enemy or a minigame that’s not to your liking, but those instances will be few and far between, and the rest of the game is more than good enough to make up for them. The story is lighthearted and fun, yet not so simple that it would bore the audience. Aside from graphics and sound quality (which are much improved), very little is changed in the Mario Brothers’ path. I only noticed a few changes. The main addition is Amiibo support, which gives some nice bonus items for players who have a New 3DS/New 2DS or an Amiibo scanner accessory. I also noticed that in the battles, there are now prompts to give you an idea of when to press which buttons to maximize damage on your Bros. Attacks. These cooperative moves use both brothers together to deal more damage than either of them could do by themselves. Aside from these changes, the gameplay matches the original very closely. When I began to struggle with where to go or how to defeat bosses, I was able to use Chuggaaconroy’s Let’s Play of the original Superstar Saga as a guide. This can be seen as both good and bad: good because the great gameplay of the original hasn’t been ruined, and bad because nothing major has been added. But what of the new Bowser’s Minions content? Is that any good? Well, not really. The writing is noticeably less polished and charming than the original content, and the gameplay is far more shallow. I didn’t play very much of the original, so I’m not speaking from a standpoint of nostalgia—the original writing and gameplay really are that much better. None of the main characters of Bowser’s Minions even have names, and when Fawful shows up, his odd speech pattern isn’t quite as amusing as in the original writing. The gameplay is essentially rock/paper/scissors (flying creatures beat ground-based melee attackers, which beat ranged attackers, which beat flying creatures) knowing beforehand what your opponents have picked, plus a quick-time event once every few seconds while most of your army fights automatically. If that sounds too easy and predictable, that’s because it is. But as far as I can tell, it’s entirely optional. So if you find it as boring as I do, you can just ignore it and stick with Mario and Luigi. You can easily switch from one path to the other at any time. 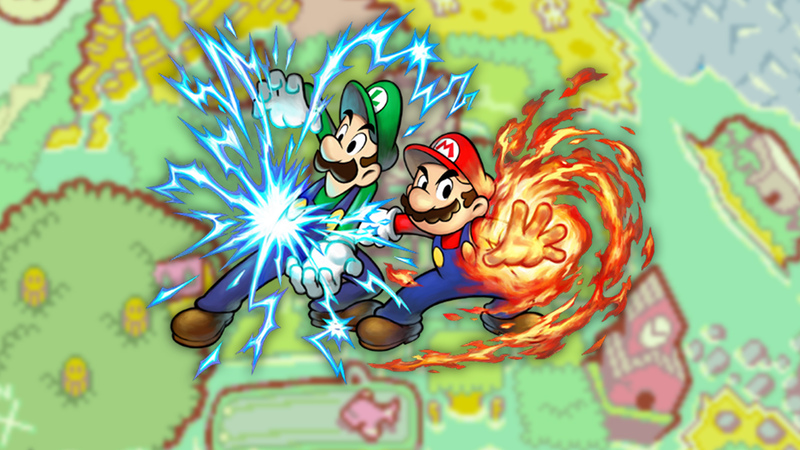 Now comes the burning question: should you buy Mario & Luigi: Superstar Saga + Bowser’s Minions? Well, that depends. Do you have a copy of the original? Do you still enjoy the old graphics and sounds? If you answered yes to both, you have no reason to buy this game. On the other hand, if you don’t have the original, or if you can’t believe you used to think it looked and sounded good, then this game is worth every penny. In addition, if you only have the game on Wii U Virtual Console, you might consider buying the 3DS remake if you travel a lot, have a long commute where you’re not the driver, or otherwise see portability as a major benefit to a game. The original Mario & Luigi: Superstar Saga was a fantastic adventure, and this remake has not harmed it. You’ll find the same fun and challenging gameplay accompanied by the same witty dialogue that first appeared on the Game Boy Advance in 2003, but now everything looks and sounds much better. The new content, Bowser’s Minions, is not good enough to warrant a purchase by itself; however, since it’s completely optional, it’s also not a reason to stay away.